Does light have weight? Newton thought that light was influenced by gravity and, using his laws of motion, we can calculate how gravity bends a light beam. 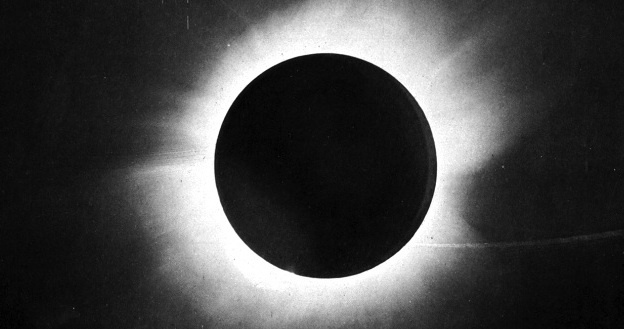 The effect is observable during a total eclipse of the sun: photographs of the sky are compared with the same region when the sun is elsewhere and a radial displacement of the star images is found. But the amount predicted by Newton’s laws is only half the observed value. We are all familiar with the problem of splitting numbers into products of primes. This process is called factorisation. The problem of expressing numbers as sums of smaller numbers has also been studied in great depth. We call such a decomposition a partition. The Indian mathematician Ramanujan proved numerous ingenious and beautiful results in partition theory. More generally, additive number theory is concerned with the properties and behaviour of integers under addition. In particular, it considers the expression of numbers as sums of components of a particular form, such as powers. Waring’s Problem comes under this heading. This week’s That’s Maths column in The Irish Times (TM055, or search for “thatsmaths” at irishtimes.com) is about octonions, new numbers discovered by John T Graves, a friend of William Rowan Hamilton. Add up the first one hundred numbers. This week’s That’s Maths column in The Irish Times (TM054, or search for “thatsmaths” at irishtimes.com) is about the emergence of algebra in the Golden Age of Islam. The Chester Beatty Library in Dublin has several thousand Arabic manuscripts, many on mathematics and science. 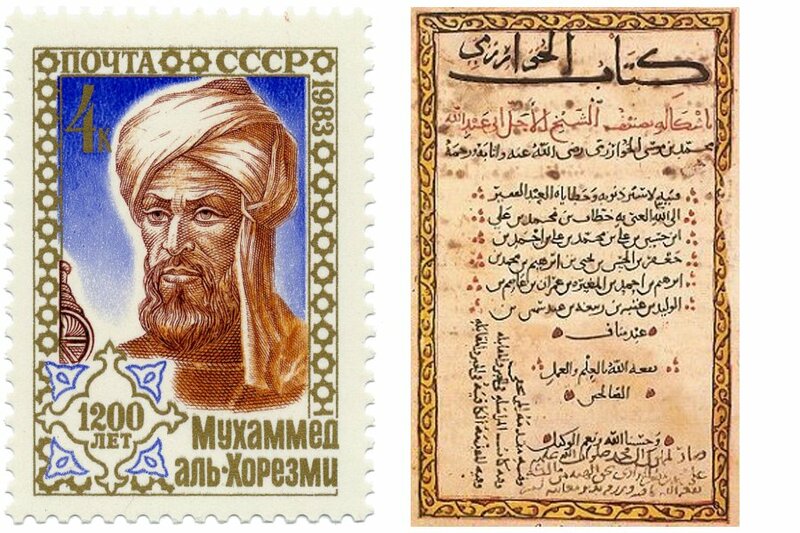 Left: Soviet Union postage stamp (1983) commemorating al-Khwārizmī’s 1200th birthday. RIght: A page from al-Khwārizmī’s Al-Jebr.